I've always been a fan of budget travel tips. 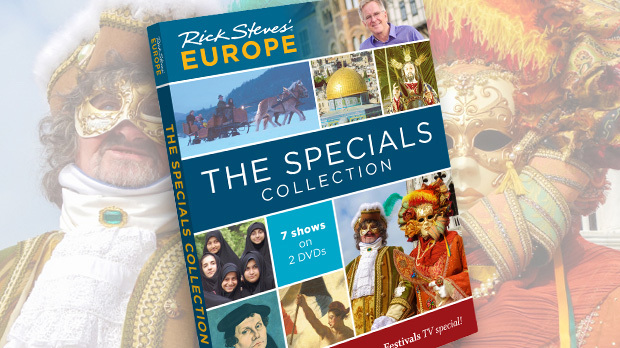 For more than 30 years I've written and lectured about ways to stow-away, picnic, and get special deals to be able to afford international travel. My feeling has long been that you experience more by spending less. While that's still true, over the years I've realized that you can also justify splurges as good values when you consider the experience gained and the time saved. If you stay in a B&B rather than a fancy hotel, you'll enjoy twice the cultural experience and intimacy for half the cost. When it comes to hotels, the irony is that the more you spend — in many cases — the farther you get from the culture you traveled so far to experience. Spend enough money…and you won't even know where you are. That said, there are some characteristic hotels that are worth the splurge. I'm always willing to pay a bit more for the convenience of a centrally located hotel, close to the sights. And in the oldest parts of Europe, many of these well-situated hotels come with enough history to themselves be part of the itinerary. In Florence, I stay at Loggiato dei Serviti — a stately former convent that looks out over the Accademia, where Michelangelo's statue of David stands. It's a splurge, but staying here stokes my prince-for-a-day Medici fantasies. Another great example of a splurge is taking a walking tour led by a knowledgeable guide. You can pick up a map and sort things out on your own, but if you have limited time, you can experience more by investing in a good tour ($20 to $30 per person). In an hour or two, I get a personal, informative, and well-worth-the-price introduction to a city. 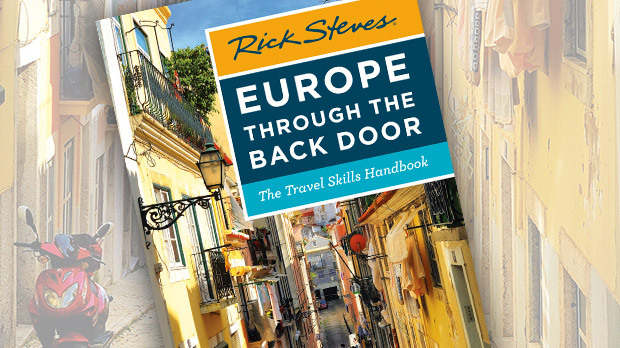 Proud residents are the best teachers a traveler could have. I'm a huge fan of Europe's public transportation, and use it whenever I can. But time, like money, is a limited and valuable resource that needs to be spent smartly. When I'm short on time, a taxi ride that gets me quickly to my destination beats out a long, cheap bus ride. If you're traveling with two or three others, taxis become an even better value. To make the most of your time in sprawling destinations that lack good public transportation — like Normandy's D-Day beaches, the châteaux of the Loire River Valley, or Italy's Amalfi Coast — a guided minivan tour can be a smart choice. Or hire a car and driver, and enjoy the luxury: You're picked up at your hotel and dropped off at your destination — free to explore until you're ready to move on (about $300 to $400 for 6 to 8 hours — more economical if split among several travelers). Coming from a picnicking, backpacker travel heritage, it took me decades to recognize the value of a fine meal. Now I enthusiastically embrace a drawn-out meal as a wonderful investment in time and money. When you treat yourself to the best meal in town, think about it this way: You're not paying $50 for just food — you're paying for a three-hour sensual experience that happens to include your evening's nourishment. It's like taking your palate to a spa in a faraway place. 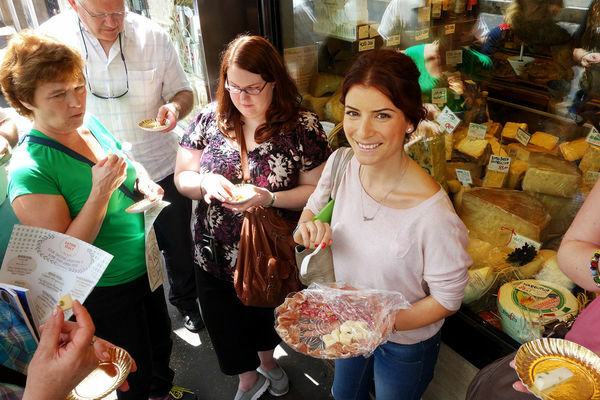 Lately I've also been enjoying food tours, which are becoming trendy throughout Europe. Costing about $65 to $135, these mobile feasts come with several stops in atmospheric restaurants or markets, where you sample local flavors, all explained by a guide. The style varies (stand-up sampling or sit-down dining), but you can expect to get a full meal over the course of the tour, in addition to city lore and culinary insights. Anything that puts me in touch with the pulse of a place finds room on my splurge list. In Paris — the City of Light — a $65 hour-long taxi ride at night gets me a blitz tour of the city's best views. The French have raised floodlighting to an art form, and Paris makes one beautiful canvas. C'est magnifique! My current favorite splurge? It's a gondola ride in Venice. 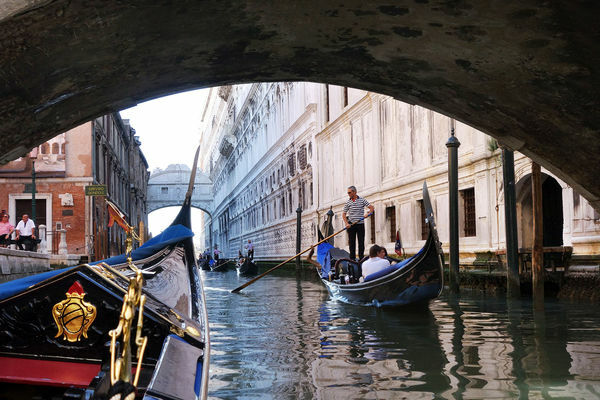 In the early evening, when the crowds are gone and the light is right, find a gondolier whose personality you enjoy, settle on a price (about $160 for 50 minutes), grab your special someone, and hop in. Gliding through the dreamy tranquility of your own private Venice is an almost out-of-body experience — one you'll never forget. I'll probably always grab a picnic, carry my own bags, and wash my socks in hotel sinks, wringing the most value I can from my travel dollar. But I'm learning the goal is not to save the most money. It's to have the more efficient and enjoyable experience, to use my time as wisely as my vacation dollar, and to know my options so my trip fits both my budget and my dreams.